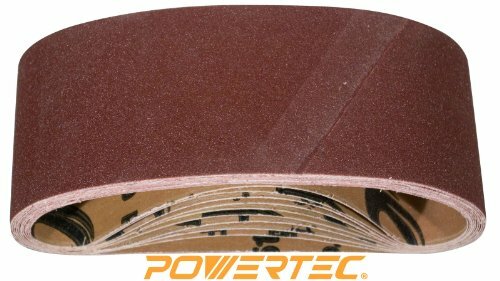 Realize the optimum finish on your industry-grade and hobby woodworking projects with POWERTEC Aluminum Oxide Sanding Belts. These handy sanding accessories provide the ultimate in performance, value, durability and versatility. Excellent for use with both narrow and wide belts, they are Ideal for a wide range of belt-sanding applications. Featuring our superior, aluminum oxide grain, and strong X-weight cloth backing, we aim to guarantee that your sanding work is always top notch and hassle free! If you have any questions about this product by POWERTEC, contact us by completing and submitting the form below. If you are looking for a specif part number, please include it with your message.